A man who has built his life and his profession on the love of greenery. 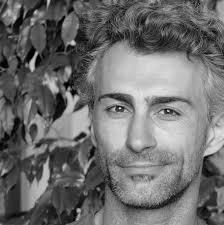 A passionate architect and designer of vegetable gardens and plants, born in Bologna but Florentine by adoption, Giacomo Salizzoni started in 2008 to devote himself to guerrilla gardening activities that led him to the design and realization of the Orti Dipinti project in Florence. A community garden of a thousand square meters available to citizens, made from an old disused athletics track in front of the Four Seasons hotel.